Cicidelidae is a family that consists of small size insects and extremely active predators, they eat all kind of smaller insects that they catch. They found very close to ground with long legs, they mainly run very fast but also fly with fast speed in short distance. With very slender legs, they still are powerful insects with a pairs of large size and strong mandibles. Most of they are very colorful insects with metallic green, blue, red elytron as well as other parts of the body. Its name, tiger beetles maybe not only because they are very active predator but also because of the color marking of their body. Some members of the family are simple, neither colorful nor day flying insects, and being night hunters. 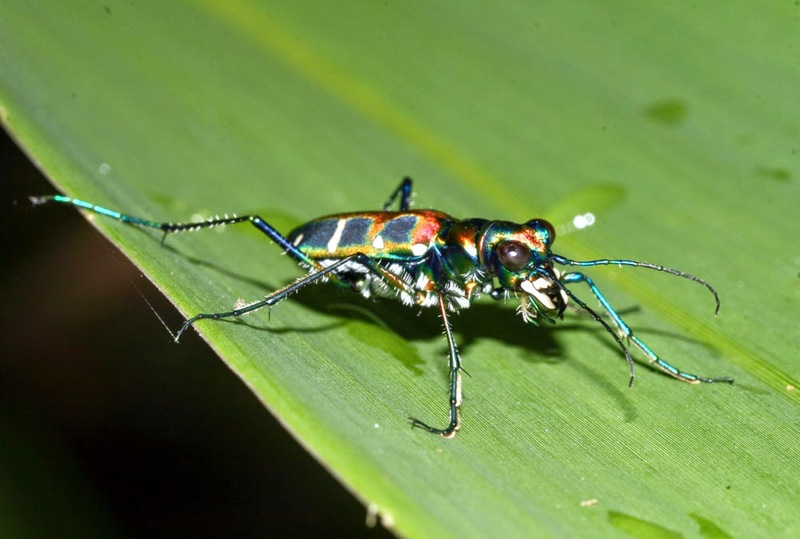 Habitats of tiger beetles are very variable, they can be found not only in the forests, grass lands and some members live near the beach, running on the sand with slender legs, under sunshine. 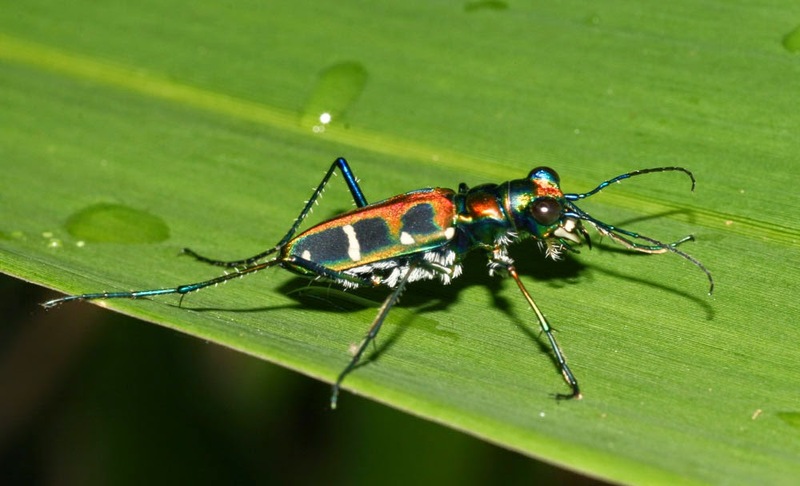 In Vietnam, tiger beetles fauna is quite rich and they can be found from the low elevation as beach to very high mountain areas (up to over 2000 m). Collecting or take photo of this kind of beetle some time quite hard work (specially as you try to work during the day), they are very sensitive with light changing, wind or any movement. With a small net in fast speed is a good way to collect the day flying tiger beetles, however their bodies are very soft and their legs are very easy to be broken so a soft insect net are recommended to be used in collecting. Many of entomologists present the specimens of this species without pinning, they are better be glued on a card board with entomological water glue. Then the card board with the specimen will be pined in the entomological box with label.